The whole topic of cannabis as medicine, and cannabis in general, alienates a lot of “mainstream” people. Cannabis in low doses, however, is a great option to help manage stress and aid sleep in situations where traditional medical approaches have failed or produce too many unwanted side effects. Many people won’t take a serious look at cannabis because they only think it’s about smoking and getting high, or they’ve heard horror stories of an edible gone awry and don’t want to risk it. We’re here to change the narrative. Rebalan’s mission is to educate people about using cannabis in low doses. 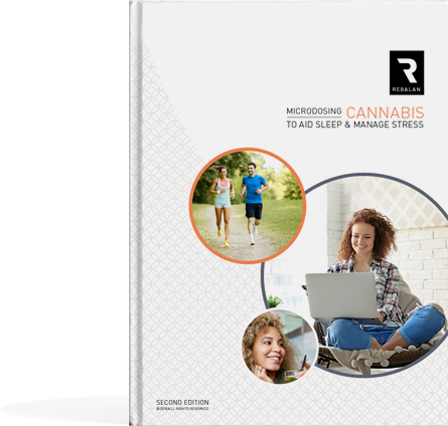 Through a combination of articles, news, guides, videos and resources, Rebalan provides information about cannabis basics and describes how to incorporate cannabis treatment into your routine in low doses to help with stress and aid sleep, without disruptive side effects. Your primary care provider may or may not be familiar with this type of medicine (sometimes referred to as integrative cannabinoid medicine), so it is important to research individuals in your area with experience in this field to obtain a recommendation. In states where adult recreational use is legal, you can walk into your local cannabis dispensary and find the low-dose product that is right for you. You can locate your local dispensary with a simple Google search. Cannabis in low doses helps to calm your mind and supports relaxation and contentment. Go to Sleep. Stay Asleep. 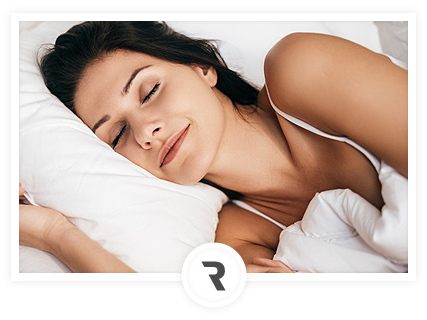 Cannabis in low doses helps promote more restful, long lasting sleep without feeling groggy. Cannabis in low doses is making a dramatic difference in the day-to-day lives of people suffering from stress and insomnia. 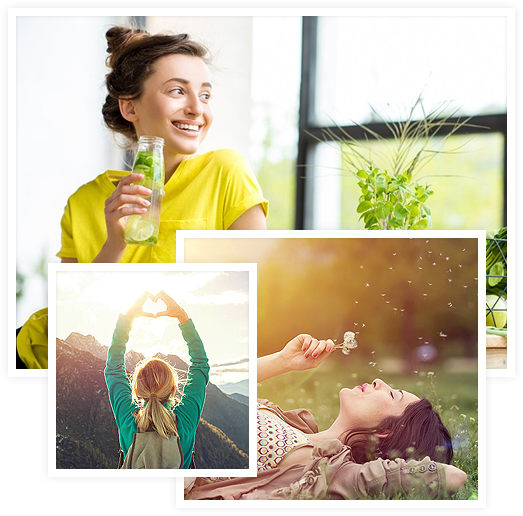 By establishing a low-dosing routine, people can reap many stress-reducing benefits of cannabis without experiencing any undesired side effects, such as coordination issues, extreme drowsiness, paranoia and appetite stimulation.